Curcumin Capsules, Curcumin Manufacturers, Curcumin Introduction- Over the last several years, there has been increasing interest in turmeric and its medicinal properties. This is partially evidenced by the large numbers of scientific studies published on this topic. Turmeric (Curcuma longa), a flowering plant in the ginger family, is widely used as a food coloring and is one of the principal ingredients in curry powder. Turmeric has long been used in both Ayurvedic and Chinese medicine as an anti-inflammatory, to treat digestive disorders and liver problems, and for the treatment of skin diseases and wound healing. The active ingredient in turmeric is curcumin, which has been the subject of numerous animal studies-but as of yet, very few studies on people-demonstrating various medicinal properties. Curcumin has been shown, for example, to stimulate the production of bile and to facilitate the emptying of the gallbladder. It has also demonstrated in animals a protective effect on the liver, anti-tumor action, and ability to reduce inflammation and fight certain infections. 2 capsules twice daily, with plain water after meals for inflammation. 3-4 capsules can be consumed in case of various cancers. 1 capsule twice daily is good as natural anti-oxidant. A widely used spice in the Indian cuisines. It gives flavor and color when added to curries. Curcumin has been used as a traditional medicine in Ayurvedic, Siddha & Unani systems for the purpose of healing and in cosmetic preparations. It purifies the blood and is antiseptic by nature. It is comprises of antioxidants and therefore its regular usage protects from the damage caused by free radicals. 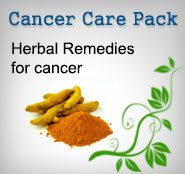 Curcumin gives strength to the immune system and prevents from , cancers, tumors, etc. Curcumin is also known as one of the best anti-ageing supplement . Inflammatory conditions - General arthritic condtions, sprains, strains, fractures, minor to major injuries, non-healing wounds -- Check anti-arthritis pack here -- Curcumin prevents the synthesis of several inflammatory prostaglandins and leukotrienes. Curcumin inhibits the production of lipoxygenase and cyclooxygenase-2 (COX-2), two enzymes that are involved in promoting and maintaining inflammation in the body. Indigestion, Irritable Bowel Syndrome, Diarrhea, Dysentry - Curcumin increases the activity of pancreatic lipase, amylase, trypsin and chymotrypsin. Curcumin also enhances intestinal lipase, sucrase and maltase activity. This activity of Curcumin aids in the digestion process. Cancers - Read about another herbal supplement for cancer with Curcumin - Its anti-cancer effect is mainly mediated through induction of apoptosis. Curcuminoids are capable of both preventing free radical formation, as well as neutralizing existing free radicals. Asthma and Allergy - Scroll down for Asthma and Allergy Pack. Anti-Ageing Supplement - Read about other anti-ageing supplements here.. ---- Water and fat-soluble extracts of turmeric and its curcumin component exhibit strong antioxidant activity, comparable to vitamins C and E. Study showed curcumin to be eight times more powerful than vitamin E in preventing lipid peroxidation. Taken in group arrangements such as C-complex, curcuminoids are three times as potent in neutralizing free-radical molecules. Curcumin has the ability to reduce oxidative stress. curcumin's role as an antioxidant have the ability to down regulate nitric oxide formation where Nitric oxide is a key element in inflammation and may contribute to carcinogenesis . The juice from raw root or powder of the dried root when mixed and taken along with milk or water is very beneficial for intestinal problems, indigestion and irritable bowel sydrome as well as diarrhea and dysentry. Further the mixture of dried root and milk or water is good for mothers soon after delivery. It helps to fasten contraction of ovaries and inner parts after delivery; it even improves the overall health and promotes breast milk secretion. It is very useful in general inflammatory conditions. Turmeric or Curcumin is a rich source of iron. A teaspoon of raw Turmeric or Curcumin juice and a bit of honey is beneficial for the persons suffering from anemia. A teaspoonful of Turmeric powder or 2 Curcumin Capsules with a glass of hot milk helps in fighting bronchial asthma and cough. For children, the dosage can be half. It gives relief and even acts as a preventive measure from the further attacks. It is also an excellent herbal remedy for allergies. Tulsi is another herb useful in preventing infections in respiratory tract. Allerg-G care is good for allergies and Curcumin capsules are good for allergies and inflammations. The praanrakshak Churna is a traditional ayurvedic blend of various herbs used in Ayurvedic system of healing in india for various respiratory tract allergies. The allergy care pack is excellent for asthma and allergies, eosinophilea etc. Applying a paste of Turmeric or Curcumin (Turmeric or Curcumin powder mixed with sweet lime juice and salt) on sprain swellings will give gives a quick and long lasting relief. Powder of Turmeric or Curcumin should be sprinkled on wounds/ulcers for speedy healing. Mix a spoon of Turmeric or Curcumin and butter or coconut oil and massage on skin. Boil water and add Turmeric or Curcumin to it then cool it, wash the eyes with this water. Fry Turmeric or Curcumin , add to it jaggery and ghee in equal proportions, keep it in a bottle and use a pinch of it everyday. Consuming about ? tsp powdered Turmeric or Curcumin three times a day relieves flatulence and loss of appetite. 2 capsules of Curcumin may be taken twice daily in diabetes Type II. It can be a miraculous herb for people very much fed up from many other herbal remedies for Diabetes. It has been used since ancient times for Diabetes in Ayurveda. Infact it is one of the best herbal supplements which can be taken along with ashwagandha, shilajit, Diabeta plus for better control of sugar levels and prevention of complications of diabetes. Digestive disorders: Curcumin, one of the most active ingredients in Turmeric or Curcumin , induces bile flow, which breaks down fats. Extracts of Turmeric or Curcumin root inhibit the gastric secretions and protect against the injuries caused by medications. It even protects the stomach linings from the injury due to drugs. Cancer: Turmeric or Curcumin decreases the symptoms of skin cancers and even reduces the incidence of chemically caused breast cancer. Bacterial infection. The herb's volatile oil functions as an external antibiotic, preventing bacterial infection in wounds. Turmeric or Curcumin is an indigenous beauty aid. It is also used within the formulation of various sun screens. Smearing of the Turmeric or Curcumin paste cleanses skin and beautifies it. It is an antiseptic and its healing properties prevent and cure pimples. Use of turmeric in Indian curries and regular in indian kitchen has been found to be one of the resons responsible for low incidence of cancers in Indian population. It is also known as anti-ageing supplement. 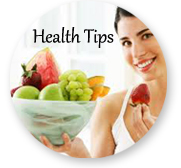 It can be used along with other anti-ageing supplements like Amla juice and Chawyanprash. Check here..
A paste of Turmeric or Curcumin and sandalwood powders mixed with small amount of edible oil should be applied on your face for about 15/20 minutes. Then it is washed off with cold water. Your face will become bright and radiant within 15-20 days. For any type of skin infection, a paste of neem leaves and Turmeric or Curcumin is used. Neem capsules along with Curcumin capsules can be used for pus filled recurrent acne. The dry root of Turmeric or Curcumin is crushed along with sprinkles of milk on a stone slab to form a paste. Apply this paste on face and neck for about half an hour. The skin will start glowing. In winters, apply this paste to your lips to cure chapped lips. Mix pure Turmeric or Curcumin powder into coconut oil and massage this oil on skin before having a bath. This will not only impart radiance to your skin but also help to keep off various skin problems. Mix a bit Turmeric or Curcumin powder in sour curd and massage this on your arms, hands and legs. Wash off with cold water. Do not use soap, use gram flour instead. This serves as an excellent pack for your legs and arms. Mix small amount of Turmeric or Curcumin powder with the cream of milk (malai) and apply it onto the skin around the eyes. This helps greatly in reducing the dark circles and the fine lines. Slightly, heat the coconut or castor oil. Add Turmeric or Curcumin powder to it. Massage this oil over your heels to prevent cracks and roughness. Brushing teeth with a mixture of Turmeric or Curcumin , and salt helps in tooth decay. The ingredients from Curcumin capsules can be taken out and the teeth are then brushed with this powder to use in gingivitis, prevention of caries. The curcumin capsules ingredients can be used with the powder from the neem capsules. Crush Turmeric or Curcumin root with tender coconut water and apply this paste on your face to diminish the scars left by acne and lighten skin discoloration. Turmeric or Curcumin is also used to prevent and get rid of unwanted hair. Applying a paste of Turmeric or Curcumin powder in warm coconut oil on your skin is believed to arrest the growth of hair and give you a petal soft skin. Analgesic, antibacterial, antioxidant, carminative, antiseptic, stimulant, anti-inflammatory, diuretic, appetizer, antispasmodic, anti-allergic, digestive, cholagogue. In anemia, diabetes, digestion, gallstones, parasites, poor circulation, bacterial infections and wounds. etc. Turmeric or Curcumin is even known to regulate the female reproductive system. It is found to have a purifying activity on both the male and female reproductive systems. It is even known to reduce the fever, diarrhea, urinary disorders, cough, and lactation problems. Even the external ulcers that respond to nothing else are known to give response when are treated with Turmeric or Curcumin . Since it is known to decrease the Kapha therefore it also helps to expel out the unwanted mucous that might be present in the throat. Further it is known to Detoxify the liver, fight the allergies, stimulate digestion, boost the immunity, balance the cholesterol level and enhance the complexion. Turmeric or Curcumin is used in epilepsy and bleeding disorders, skin diseases, to purify the body-mind, and to help the lungs expel Kapha. The main organs that Turmeric or Curcumin treats are the skin, heart, liver and lungs. In order to increase the capability of the stomach to withstand the gastric acid. Turmeric or Curcumin is a very good carminative that is capable to calm down the upset digestive system and it moreover tends to increase the absorption of various components in the food through the intestinal flora. In order calm the upset digestive system a spoonful of Turmeric or Curcumin and a cup of curd or yogurt is taken after the lunch. As a remedy for piles directly apply a mixture of mustard oil, Turmeric or Curcumin and onion. The addition of Turmeric or Curcumin to such oils as olive or sesame oil extends their shelf life due to its antioxidant properties. In addition, some orange and lemon drinks are now colored with Turmeric or Curcumin , which is considered safer than artificial colorings, which are derived from coal tar. The herb is having the ability to protect the liver against toxic substances, especially such heavy metals as lead; to prevent the formation of gallstones or decrease the size of stones already formed; and to increase the flow of bile. Turmeric or Curcumin also exhibits anti-inflammatory properties that are useful in the treatment of both osteoarthritis and rheumatoid arthritis. Alcohol extracts of Turmeric or Curcumin have been found to reduce blood sugar, which could eventually affect the treatment of diabetes. Turmeric or Curcumin can also reduce serum cholesterol levels. Turmeric or Curcumin also demonstrates antifungal properties. Turmeric or Curcumin has long been used as an Eastern folk remedy for eye discharges and as a cooling, soothing skin lotion. The Turmeric or Curcumin rhizome is used in many different formulas as an anti-inflammatory pain reliever, especially for shoulder pain. It is known to improve the movement of blood and stimulate menstruation. Turmeric or Curcumin tuber is given for jaundice, pain in the liver area, agitation, and insomnia. The cucurmin found in Turmeric or Curcumin possible treatment to prevent cancer. It has also been shown to induce apoptosis, or cell self-destruction, in leukemia cells. In addition the human digestive tract indicate that cucurmin may help to prevent colon cancer.